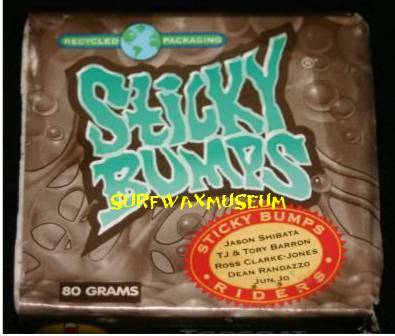 Sticky Bumps Travel Pack from the X Games. 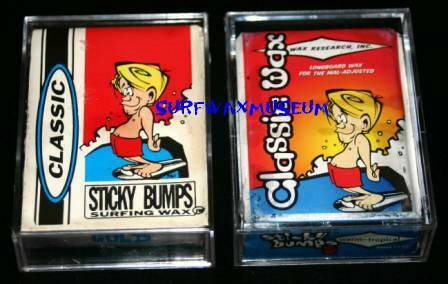 Sticky Bumps Classic bars. Labels are a bit different. 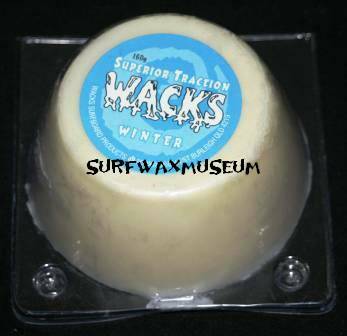 Newer S Bumps team Wax. 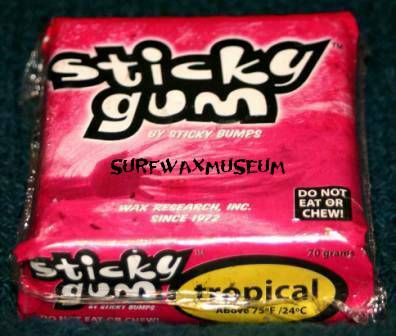 Sticky Gum. Single bar. The whole set is on this site as well. 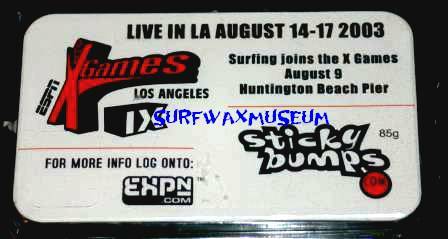 Stik Wax. Older bar. Never used the stuff. 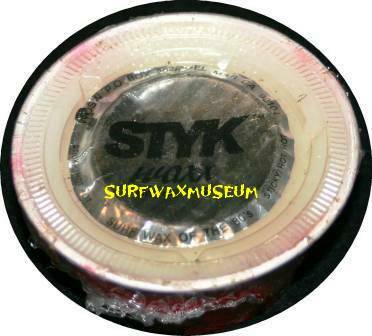 Styk Wax Tub. From the 80's. Superior Traction Wacks. Australian. Huge bar. I have an earlier bar as well. 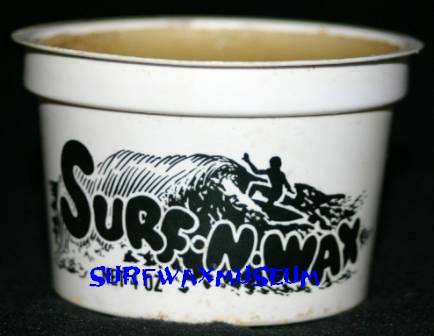 Surfari. 80's Classic bar. I gave some to Andy and Kevin as well. Killer graphic. Classic bar. 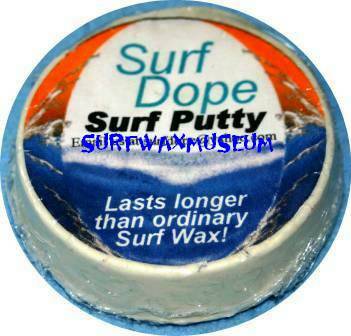 Surf Dope. Got it from the internet. 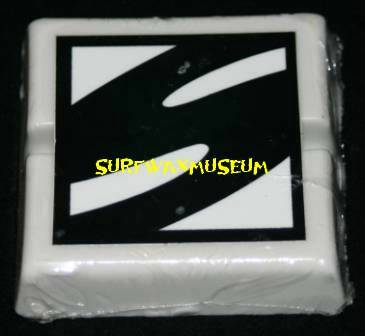 Surfer's Alliance Set. All from the 80's. 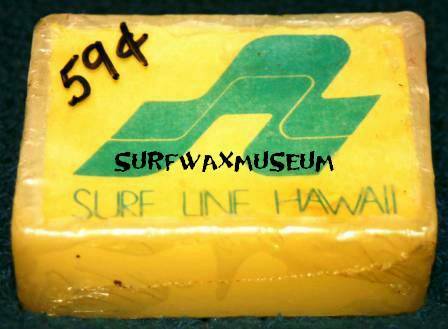 Surf Line Hawaii. Another great, local, bar from Hawaii. 80's. Made on the mainland though. 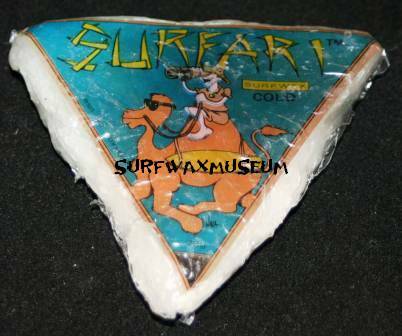 Surf N Wax. Tubs from Austrlia. I believe the 60's??? Very HTF.